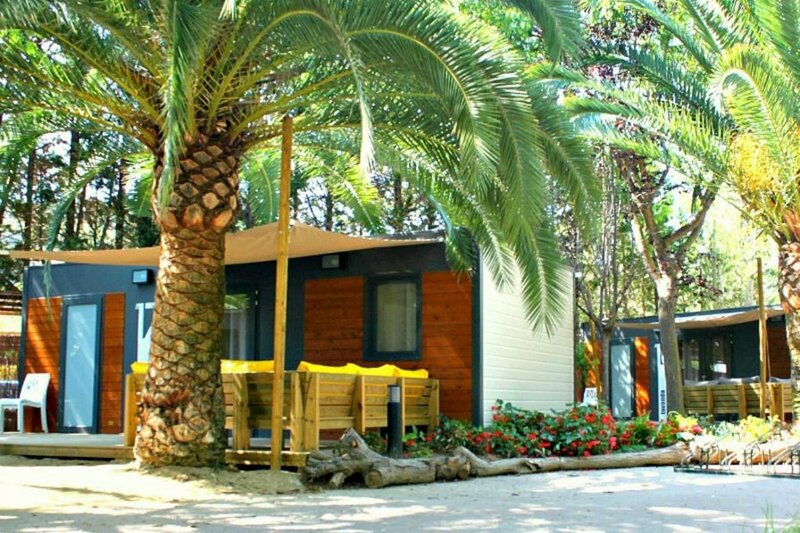 At Tamarit Park Resort you can choose from two different types of detached accommodations. There is a 5-pers. chalet (ES-43008-03) with two bedrooms, one with a double bed and one with two 1-pers. beds and a 1-pers. high sleeper. There is also a slightly smaller version, also for 5-pers. (ES-43008-04). This type has two bedrooms, one with a double bed and one with two 1-pers. beds. The fifth person sleeps on a 1-pers. sleeping accommodation in the living room. Both chalets were built in 2016 and have air conditioning, an open kitchen with dishwasher and microwave and a bathroom with shower and toilet. You have a (covered) terrace/veranda and there is parking for one car. For an extra car you pay € 12 per night on the spot.